Written by Johnathon Goodenow. Media by Kelsey Middleton. As adults, we are usually able to understand when a political dialogue is taking place, but this is less true for children. About a year ago, a YouTube video by Gnoggin picked apart potential political symbolism of “The Angry Birds Movie,” and it was very interesting. Another politically-charged animated film is “Zootopia,” which has had a large global reach. “Zootopia” is more explicit in trying to make a statement about racial divisions by dividing the city between predators and prey rather than by skin colors. 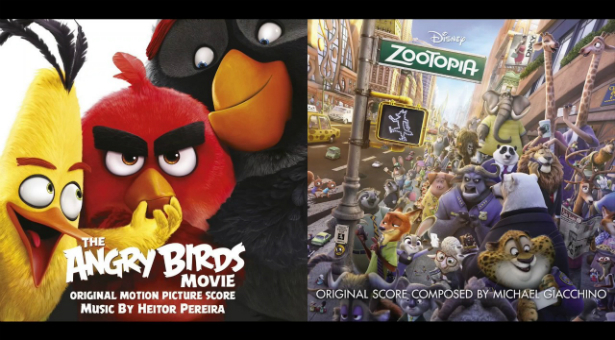 “The Angry Birds Movie,” if you’re willing to get past a large number of horrible bird and pig puns, can be interpreted to make a statement about political correctness at the very least, and can even be interpreted as a right-leaning interpretation of the Syrian refugee crisis. Why do films geared towards very young audiences go out of their way to make these kinds of statements? One argument could be that filmmakers anticipate that adults will be watching these with their kids, and they want them to be entertained as well. Even cartoons as innocent as “VeggieTales” make cultural references that would go over the heads of younger viewers. When a pea is trying to come up with a rhyme for “hero “ in “The Wizard of Ha’s” and comes up with Robert De Niro, very few kids in grade school are going to know who he’s talking about. But if it’s as easy as that, then why make an entire plot that’s centered around politics? Are cultural references not enough? Another answer might be that writers want their content to be timely, impactful, and not generic. In addition, something that is timely and provocative is more likely to be controversial and therefore make money. If the current business model for the news media has any indication for how media of other genres might be successful, this would be a good example. Television, like film, is not exempt from politicalization. 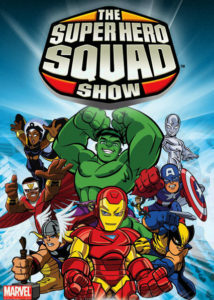 A Marvel show on one of the Disney channels called “Super Hero Squad” had some notable examples of politicization. There was a scene on that show in which two heroes named Reptile and Flat Man got into a discussion about global warming. Flat Man didn’t believe in global warming, and he was portrayed as an idiot whom kids should laugh at for thinking the sun was getting angry and that the water level wouldn’t get any higher. Regardless of whether or not one believes in global warming, this kind of messaging characterizes those who don’t agree in a negative light, which encourages an unhealthy kind of conversation with them. Kids are impressionable, and it is very easy for them to turn on the TV and watch whatever show a producer for Disney, Nickelodeon, or Cartoon Network has created to make their business more money. Parents of young children should at least be aware of what kind of shows are on in their house so that they can teach their children to be more media literate; then they can understand when a show is trying to make a statement about something, so that their kids can make decisions about their political beliefs rather than be taught to think a certain way without knowing that it is happening.